The midstream segment of the energy industry is a growing business, and at Genesis Energy, we know how to capitalize on emerging opportunities. That’s why we look for people who are creative in spirit, entrepreneurial by nature and customer-focused in practice. Think you have what it takes to join our team? Genesis Energy employees are a diverse collection of specialized professionals with backgrounds and experiences from companies of all sizes. Our employees and work locations are spread across the United States, as far west as Texas, north to Wyoming and east to Florida. 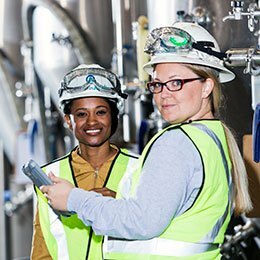 We are committed to the highest health, safety and environmental standards to protect our employees, our business assets and the communities in which we operate and invest. At Genesis we have a variety of career opportunities across our multiple divisions, including pipeline, refinery services, rail, trucking, marine and professional opportunities. If you are interested in pursuing an exciting and rewarding career with us, please take the time to search and apply below. Alkali is our newest business and was acquired effective September 1, 2017. Alkali sits on top of the world’s largest known deposit of trona ore, is the largest leaseholder of trona reserves in the US, and is among the lowest cost producers of soda ash in the world with proven reserves in excess of 100 years. Located in Green River, WY, the business is comprised of the largest underground trona mine in the world and two manufacturing sites with seven processing facilities producing in excess of 4 million tons of soda ash per year. The Alkali business has different types of job opportunities including for mechanics, operators, electricians and engineers. To learn more about Alkali, visit the Alkali page. To learn more about current job opportunities with Genesis Alkali, you can search and apply here. 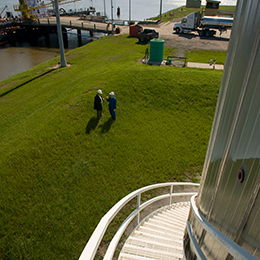 Genesis Marine primarily serves refineries and storage terminals along the Gulf Coast, East Coast, Canada, Great Lakes, Intracoastal Canal and western river systems of the United States, including the Red, Ouachita and Mississippi Rivers. We own and operate inland and offshore fleets of approximately 100 vessels. Many of our vessels are new or recently updated. 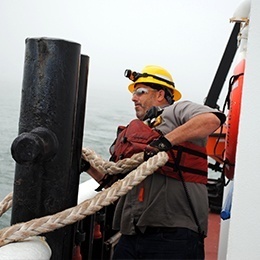 To learn more about Genesis Marine, see our Marine page. To learn more about current career opportunities with Genesis Marine, please search and apply below. Genesis Energy owns and operates both offshore and onshore pipelines. Offshore, Genesis owns or has an interest in more than 2,400 miles of crude oil and natural gas pipelines and platforms in the Gulf of Mexico. Onshore Genesis owns over 600 miles of crude oil and natural gas pipelines in Texas, Louisiana, Mississippi, Alabama, Florida and Wyoming. In Mississippi, Genesis owns approximately 270 miles of CO2 pipelines. 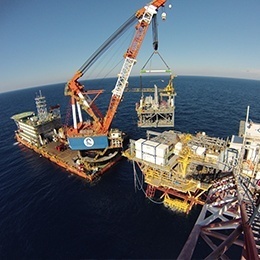 To learn more about Genesis Pipeline, see our Offshore Pipeline and Onshore Pipelines pages. To learn more about current career opportunities with Genesis Pipeline, please search and apply below. Genesis Energy is always looking for enthusiastic individuals to fill a variety of professional positions in a support capacity for our operations, from engineers and accountants to programmers and administrative assistants. To learn more about current professional career opportunities with Genesis Energy please search and apply below. 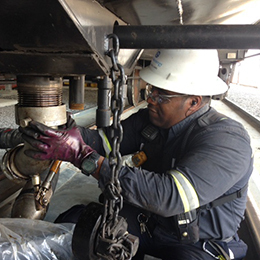 Genesis Rail Services operates crude oil rail loading and unloading terminals in Baton Rouge, LA; Raceland, LA; Walnut Hill, FL; Natchez, MS; and Douglas, WY. To learn more about Genesis Rail Services, see our Rail page. To learn more about current career opportunities with Genesis Rail, please search and apply below. With more than 30 years of experience operating as TDC, LLC and its predecessors, Genesis Energy Refinery Services markets and provides logistics management for caustic soda and sodium hydrosulfide. Genesis Energy Refinery Services has locations throughout the United States, including: West Lake, LA; Ruston, LA; Monroe, LA; Baton Rouge, LA; Houston, TX; Tulsa, OK; and Lake Point, UT. To learn more about Refinery Services, see our Refinery Services page. To learn more about current career opportunities with Genesis Energy Refinery Services, please search and apply below. Genesis Trucking hauls crude oil, residual oils, asphalt, petroleum products, chemicals and other specialty products mainly throughout New Mexico, Texas, Oklahoma, Arkansas, Louisiana, Mississippi, Alabama and Florida. We serve oil fields, refineries, tank terminals and a variety of other industries. 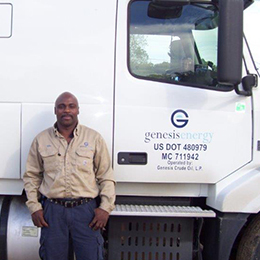 Genesis Trucking hires drivers for local and regional routes; these drivers are eligible for performance bonuses and receive highly competitive benefits packages. To learn more about Genesis Trucking, see our Trucking page. To learn more about current career opportunities with Genesis Trucking, please search and apply below. Employees at Genesis have access to a competitive, comprehensive and affordable benefits program that includes medical, dental, vision, life insurance and disability protection, along with a generous retirement savings plan. Take a moment to look at our summary of benefits for this year. 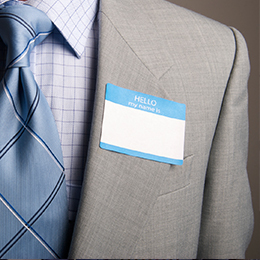 We believe there’s value in building our team with motivated and capable individuals. If you have the experience that makes you uniquely qualified for one of our current job openings, we would love to hear from you. Thank you again for your interest in Genesis Energy! Let’s get started…. Please review our Frequently Asked Questions for additional information or assistance with using iRecruitment. ​For the best user experience, we recommend using a desktop or laptop computer to access our online applicant system.